Christmas Glasses - Green tree shaped festive glasses. Christmas Glasses -Green festive tree shaped glasses topped with a gold star. 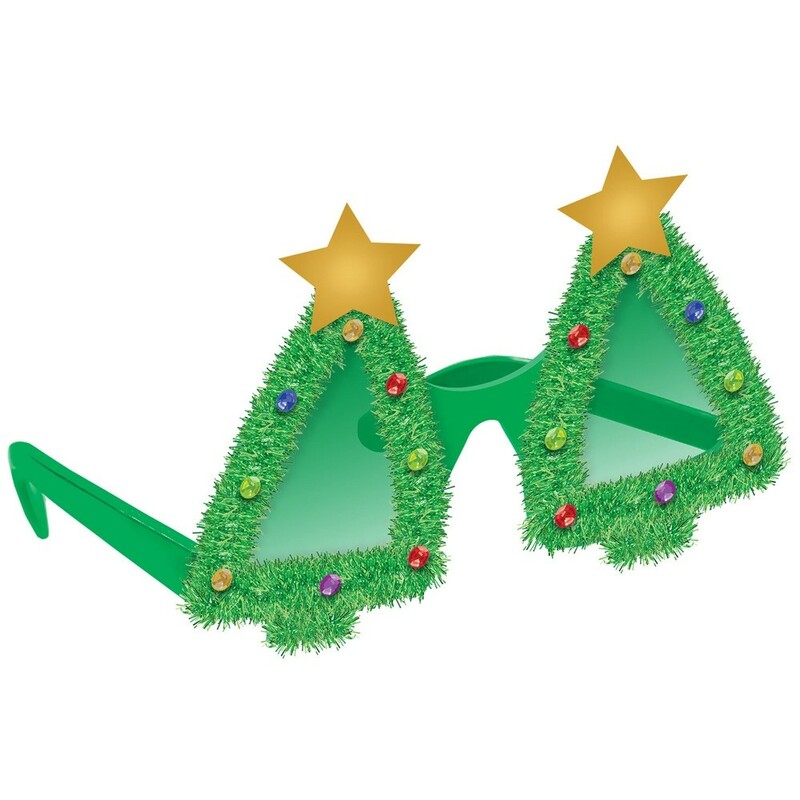 These fun glasses are the perfect Christmas Glasses to wear this December.